Capital Trust wins multiple accolades at the Asian Business and Social Forum. 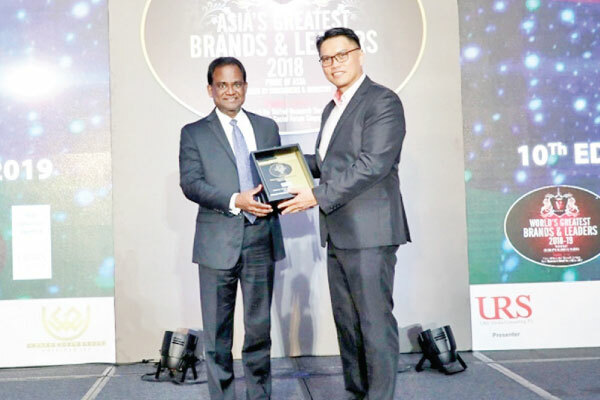 Capital TRUST Holdings Limited has received the ‘Asia’s Greatest Brands 2018’ Award in the ‘Diversified’ category. Further, Tushan Wickramasinghe, Chairman and CEO, Capital TRUST Holdings Limited has received the ‘Asia’s Greatest Leaders 2018’ Award. Rajat Shukal, Global Head & Principal Partner of URS Media Consulting P.L. and Asia One Magazine said, “Asia’s Greatest Brands and Leaders 2018 was instrumental in assembling iconic, powerful and emerging brands and leaders of Asia on a common platform to discuss issues relevant to their respective strategic decisions, thereby enabling unprecedented mutual learning and growth”. Originally established as a stock broking firm in 1991, today Capital TRUST Holdings Limited has 33 subsidiaries and has expanded into many areas of businesses including Property Development, Real Estate solutions, Margin Trading, Investment Advisory, Information Technology, Education and Packaging.